Stumbleupon is a powerful platform that has become a dominant of traffic for leading social media sites and other well-designed websites. The unique and intelligent platform is used to filter out all of the stale websites on the Internet by making more than 1.2 billion website recommendations to users who would like to discover something new based on their interests. With more than 20 million users, power marketers can easily connect with target audience members who spend an average of 69 minutes each session stumbling across and 7 hours per month stumbling. If you want to be a Stumbleupon superstar and a power user, here are 30 tips to get you tons of stumbles as a marketer. If you spend a little extra time creating your profile you will attract a lot more stumbles. If you are in a rush to create your StumbleUpon account, it is best to hold off on making it active until you can take the time to upload an appropriate avatar to represent your account. The worst thing you can do is create an account with an anonymous ghost avatar because the user cannot associate your site with any type of image. Do not make a simple initial mistake, and take the extra steps to customize your profile so that you can easily get the stumbles you want. Failing to upload an original and custom avatar may be a mistake, but choosing a lack luster avatar is also a huge mistake that you need to avoid. As a marketer trying to attract users who want to discover new things, you need to make use of the very small avatar space wisely. Generally speaking, high contrast colors capture more attention than the alternative. Also, make sure that your avatar cannot easily be mistaken for another. While a logo is the hallmark of your brand, your logo does not always make a great avatar on StumbleUpon. You must consider how your logo will be perceived versus all of the other logos and avatars that can be stumbled upon. You want a unique presence, and your logo may not deliver the presence you need to stand out. Being seen is the key to being a superstar on StumbleUpon. If you want your stumbles to be seen by a larger target audience, you need to choose your friends wisely. You are limited in the number of users that you can friend. As a user, you can only have 200 friends, so you need to choose active users with their own long list of friends and followers. Having influencers on your friends list will gain you more exposure. Users are looking for quality. If you really want to stand out, you should communicate how you stand out because you believe in quality over everything else. If you want people to recommend your profile, you need this important element in your message. You will need to be communal if you want friends and if you want these friends to spread the work. There are several different ways to get involved so that your avatar sparks interest in users. You can invite friends on social media to meet you on the platform, keep your profile updated, post fresh content, subscribe to links, join groups, and even post reviews so that you show you are an active part of the community. The StumbleUpon Toolbar is a powerful tool for new marketers who want to grow familiar with the way that the community functions. 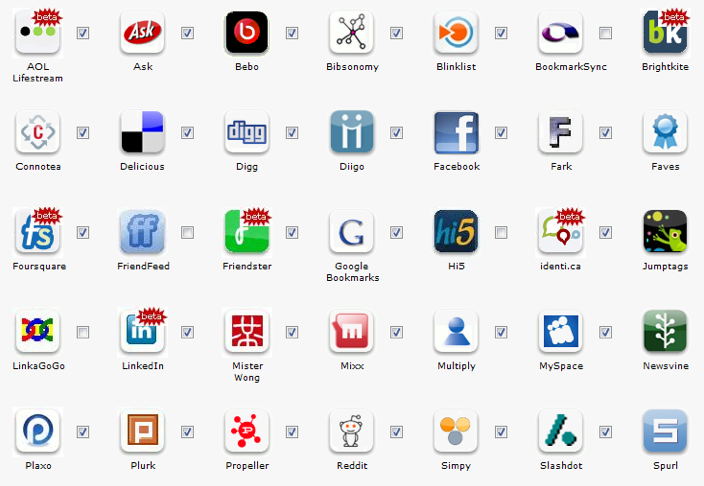 If you want to be an insider and attract more interest from experienced users, this toolbar is the place to start. Sometimes, the accounts that you choose to friend can have a negative impact on your reputation with the audience you are targeting. Use the platform as a way to friend the right users and not users who are scantily clad or who have fake accounts that lure you in. Follow these profiles on a personal account, not a business account where users could be offended. One thing you need to be aware of is that when it comes to marketing online, it is not always about your products and your brand. StumbleUpon is a platforming for engaging, and engagement is about sharing links from other users that your friends will find interesting. Drop your links into the links that you send, but only share your own links a maximum of 10% of the time. You should not stumble across every link that a friend in your network sends you. If you are receiving spam, learn when to say no so that your sessions do not affect your reputation on the platform. 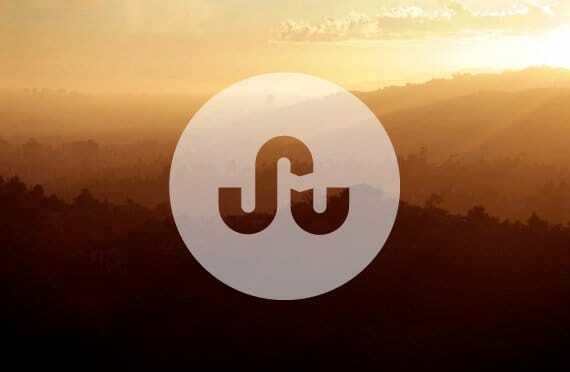 StumbleUpon forbids automation tools because it is purely for organic marketing. If you try to take a shortcut and use automated tools, you may succeed temporarily, but getting caught will get you banned after all of your hard work. If you want to increase traffic long term, do it the right way. If you are stumbling products, make sure you share specific pages and not homepages. If you are not specific, stumblers are not going to go searching for the product you are referencing. There is a huge group of native users on StumbleUpon, and you do not want to annoy these users by going against the culture. If you want a good reputation, stay true to the culture and be bold without offending. If you have just a day to do some research on the habits of stumblers, you can use the modeling technique to your advantage. Modeling is all about emulating a business or consumer by getting in their mindset. By looking at what customers are stumbling upon, you can create hot content that will be found. It is human nature to take offense when someone does not friend you back, but always be polite. You are representing your brand, and you should be polite and avoid creating enemies even if they are spammers. 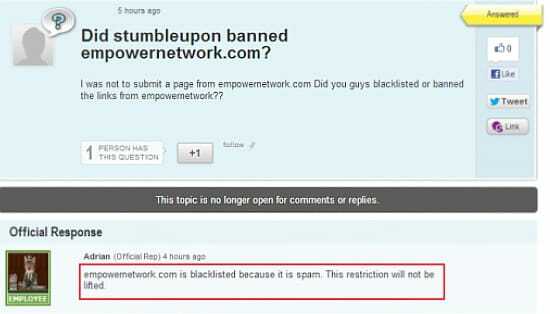 Staying polite and posting great quality content will keep you within StumbleUpon’s terms of service, as well. 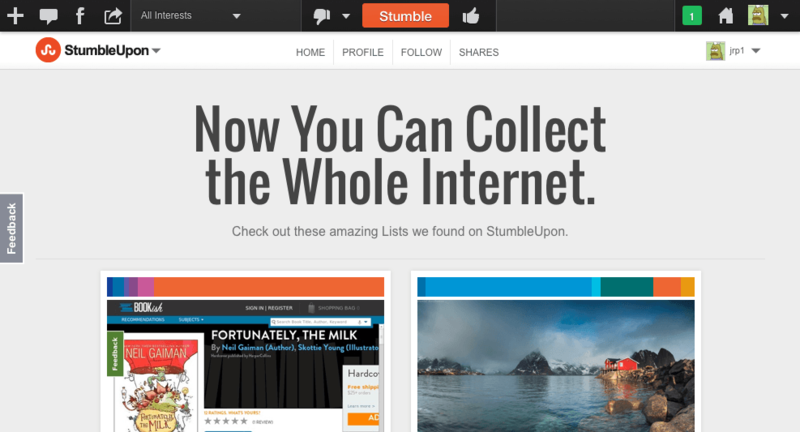 StumbleUpon is all about sharing valuable ideas or getting users to engage with content. If you want to use the platform right, you need to use your account as a way to market a mini blog that shows off your knowledge within your sector. Your voice is a part of your brand. Using the wrong voice through your content can affect your reputation on any social media platform. Make sure that you choose right wording and the right tone when delivering your message so that your message is heard. 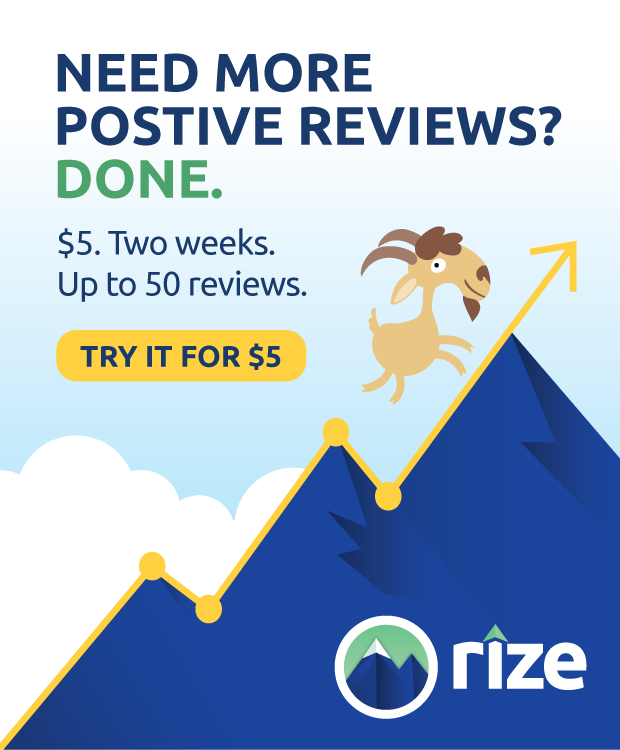 From time to time, users will give you a thumbs down. Do not let the criticism bring you down. Rather than getting offended, realize that it is not personal and learn from the criticism. Read over your content, and see why the reader was not impressed so that you can adjust your strategies. A social media platform is not one-size-fits-all. What works for one business may not work for another. Before you make a huge monetary and time commitment, take some time to perform tests to see if StumbleUpon is of use in your industry. If the resources you spend will be recouped, then you can invest. You want more than just casual readers, you want to build relationships. Be sure to add an RSS subscription button strategically on your content so that you can create deep relationships with stumblers. This relationship will ultimately lead to sales. One way to quickly earn a bad reputation in the community is to tag your stuff in areas where it does not fit. Make sure to review all of the tag areas and only tag products and services of yours that are appropriate and offer value to users. If you create low-quality content, you can easily get mistaken for a spammer. If this happens, your account on StumbleUpon will go nowhere. Make sure you focus on content that gives you a good reputation and avoid sending random requests. The areas that you stumble can affect your traffic and your reputation. If you want the most attention, you should find trendy topics to stumble. Use a website called popurls.com and you can see what is currently popular and on trend. 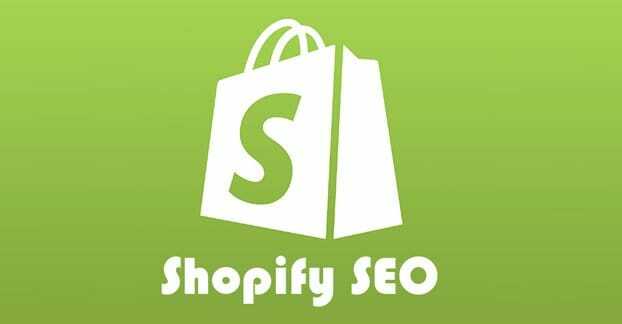 If your main site has a strong sales pitch, you should create a special website just for this community. It is important to go for a soft-sell voice that stresses value and does not have a huge hype behind it. You need to avoid headlines that have been beaten to death on all platforms. Instead of a generic headline, use a catchy one that is descriptive and unique. Think of funny headlines that are relevant and persuade readers to click-through. You cannot let a dud stop you from posting fresh content. If you take a break from posting, users forget about you and you lose the friend status you gained. Grab attention with new posts, and keep old content that shows you are an authority in the industry. Large chunks of text are simply not attractive to the eye. They can intimidate a reader no matter how great the content is. Be sure that the page is scanable and do not get too wordy. Putting in less effort and writing shorter posts will actually pay off. An image, combined with a catch header, is imperative. If you are not using images at the top of your page, you are missing out on users. 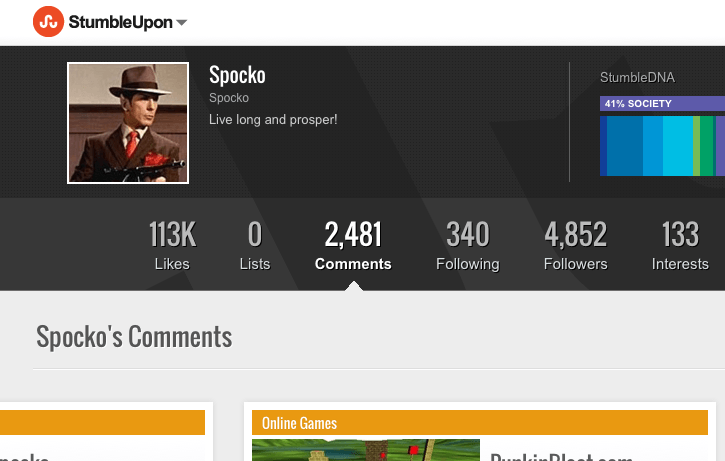 If you already have an outside blog with subscribers, use StumbleUpon widgets to your advantage. With a widget code, you can add this to WordPress and make sure that people who read your content can still stumble upon you. Advertising is definitely necessary as a marketer, but you do not need to outweigh your content with ads. Making sure to limit the ads and to increase the content ratio will keep your bounce rate low. StumbleUpon is a powerful content discovery platform. Get positive stumbles, get more visitors, and become and authority. Use the marketing tool as a social tool bar, and you can build a high-quality audience that converts into sales.